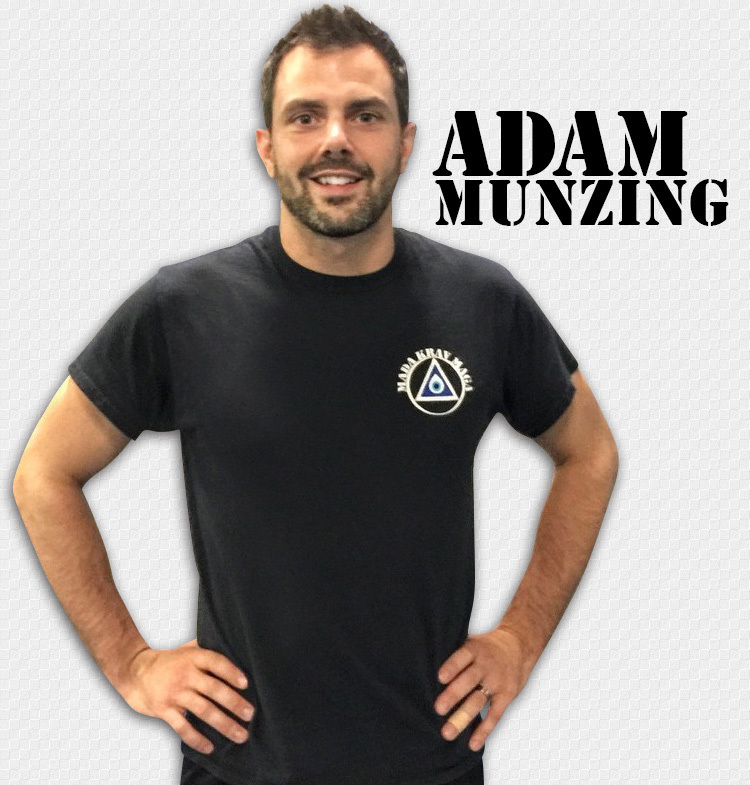 Adam Munzing has been training in martial arts for over 25 years and has received Instructor level certificates in Krav Maga, Jeet Kune Do, Kickboxing and Brazilian Jiu Jitsu. This includes a specialized teaching level certfication for training law enforcement officers in the tactics of Krav Maga, and Adam is an MCOLES in-service training provider for MI law enforcement. Adam is not just an expert on paper. He has worked as a Defensive Tactics instructor for the Chantilly Criminal Justice Academy as well as Fairfax County and Loudon County police. Many S.W.A.T. operators, FBI Agents, military personnel, Secret Service Agents and police officers across the country have sought his expertise in hand to hand combat. A capable instructor, Adam is the only Israeli certified Krav Maga black belt in the Metro Detroit area. He is one of three people in the world who holds a black belt in Brazilian Jiu Jitsu AND Krav Maga and is coordinator of the USA Jiu Jitsu Olympics for the State of Michigan. He also has a black belt in kickboxing. In addition, Adam is an instructor for the MTOA (Michigan Tactical Officers Association) and has taught self-defense classes for the staff of Quicken Loans and other large corporations. He currently resides in the Metro Detroit Area and provides expert instruction in hand to hand, gun, knife and stick fighting to local law enforcement including S.W.AT. and S.R.T. officers. Adam also provides this top notch training to civilians through Mada Krav Maga.